Heritage's mission is to preserve and enhance San Francisco's unique architectural and cultural identity. 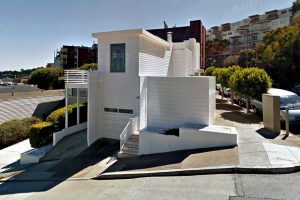 On Thursday, December 13, 2018, the San Francisco Planning Commission unanimously voted to require the owner of the Largent House – designed by noted architect Richard Neutra and illegally razed in October 2017 – to rebuild the house at 49 Hopkins Street based on the original 1935 drawings. 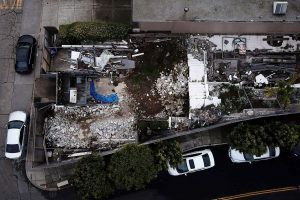 After a spate of unauthorized residential demolitions in San Francisco, the unprecedented decision by the Planning Commission has garnered international media coverage and stands as a powerful cautionary tale for future would-be offenders. The outcome is a testament to the tireless efforts of a broad coalition of community advocates working to spotlight and curb similar abuses across the city. Click here to read Heritage’s testimony at the hearing. A man illegally razed his historic San Francisco home. Now he must build a replica. Over the past year and a half, Heritage has been promoting alternatives to the proposed demolition of Fifth Church of Christ, Scientist, at 450 O’Farrell Street. Built in 1923, the church is both a contributor to the Upper Tenderloin National Register Historic District and individually eligible for listing in the California Register of Historic Resources. Heritage has consistently and unequivocally opposed demolishing the church for market-rate housing and new church facilities. The project sponsor had originally budgeted $5 million to artificially paste the 1923 colonnade and portico onto the new building. Saving a small piece of the façade, in Heritage’s view, would have left an absurd monument to the ineffectiveness of the city’s preservation protections. When it became clear that the Planning Commission was poised to approve the proposed project, Heritage was forced to debate whether to take a principled stand against façadism — even if it meant accepting complete demolition of the historic building. 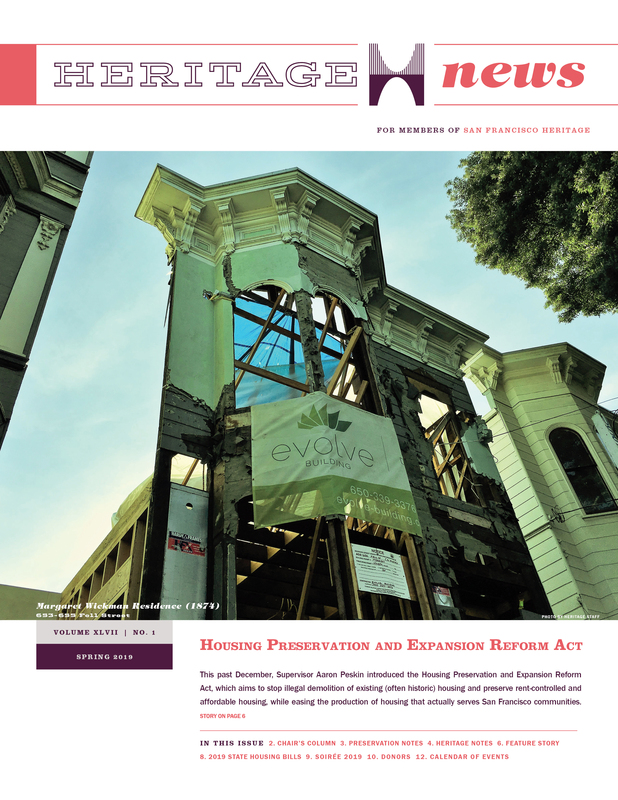 Heritage ultimately recommended (1) removal of the colonnade from the new design, and (2) reallocation of the resulting cost savings to worthy preservation projects in the Upper Tenderloin Historic District. At its September 13 meeting, the Planning Commission approved the revised design (sans colonnade) and encouraged the project sponsor to reach agreement with Heritage on their funding commitment for off-site preservation projects. On October 15, with no agreement in hand, Heritage filed an appeal of the project asserting the city failed to adopt feasible mitigation measures to adequately compensate for the destruction of the historic church building. 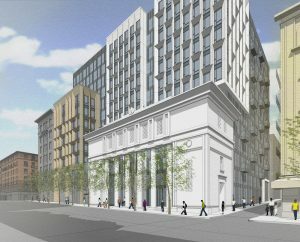 Heritage’s position on the 450 O’Farrell project is explicitly contingent on the project sponsor’s commitment to reallocate the net cost savings to the city for historic preservation, façade improvement, and affordable housing improvements in the Upper Tenderloin Historic District. For more background on this issue, see the current issue of Heritage News. Without its many independent, locally-owned businesses, San Francisco wouldn’t be San Francisco. Local businesses that have been flourishing for 30 years and longer are the anchors of our communities. Preserving these legacy businesses are critical to maintaining San Francisco’s uniqueness and what draw tourists from around the world. Liguria Bakery, Tommy’s Joynt, & Mitchell’s Ice Cream are 3 SF institutions who speak with QuickBites about their historic businesses and about why it’s so important that they are still around providing generations after generations of San Franciscans with their culinary delights.